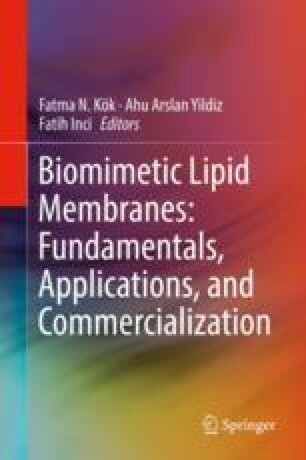 Liposomes and lipid bilayer systems are one of the most ubiquitous structures in the living world, with complex structural features and a variety of biological functions in a constrained milieu. Redesigning and reprogramming these structures as biomimicking components will enable us to investigate basic biophysical and pharmacological processes within intra- and extracellular environments. Microfluidics, an enabling and disruptive technology, have greatly attracted this field by presenting unique capabilities, such as reduction in fluidic volumes, automation, and high-throughput, which have not been introduced with other technologies. In this chapter, a broad perspective and a variety of applications of microfluidic-associated methods were reviewed comprehensively.